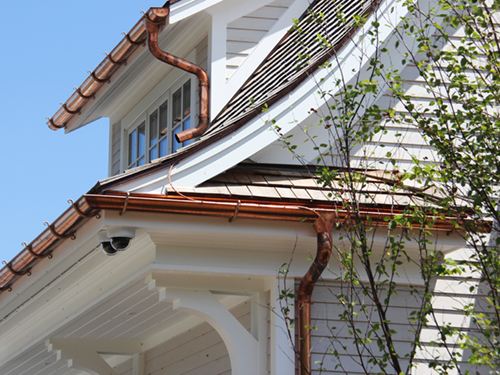 For a luxurious look for your Collingwood property, take a look at our copper eavestroughs! There are times when settling for the normal is just not good enough. 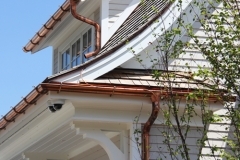 If you are looking for an exceptional upgrade for your Collingwood, Ontario property, copper eavestroughs may be the way to go. We are proud to offer this exceptional product here at Gorilla Gutters. It is well worth the added investment if you want the beauty and strength copper eavestroughs afford. We usually see copper eavestroughing on luxury properties and historic buildings because it provides an amazing aesthetic value. It isn’t chosen just for its dramatic appearance, however. 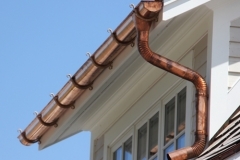 Since copper eavestroughs are heavier than aluminum, they can better stand up to the snow and ice we get in the winter. Another benefit is that they never need painting. 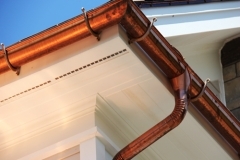 In addition, if the look of a copper eavestrough appeals to you but your budget won’t support this option, we can show you some great custom colour options in seamless gutters that can give you a similar result at a lower cost. Our goal is to give you the results you desire while keeping your project on budget, so don’t hesitate to ask us about all the options we carry. We have over 25 years of experience in this industry, so we are confident that we can provide you with the results you desire in terms of quality products and expert installation. Whether you are looking for decorative and functional copper eavestroughs or something else, we assure you that you will be more than satisfied with the results. We back our workmanship with a 5-year labour warranty, and our products have a 20-year warranty. 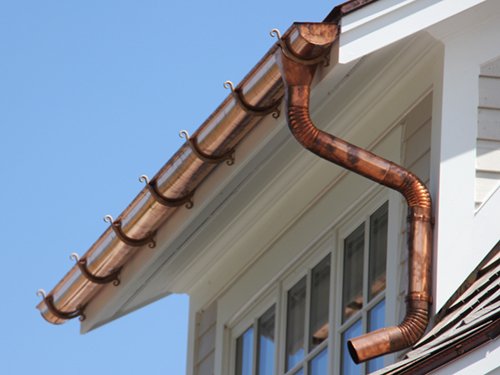 Contact us today to learn more about copper eavestroughs and our other products and services. 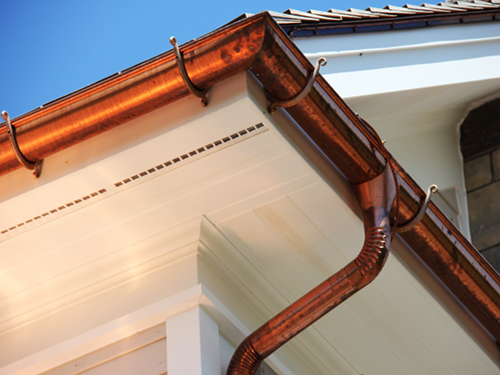 At Gorilla Gutters, we offer services for copper eavestroughing in Collingwood, The Blue Mountains, Stayner, Wasaga Beach, Thornbury, Owen Sound, Wiarton, and surrounding areas of Ontario.